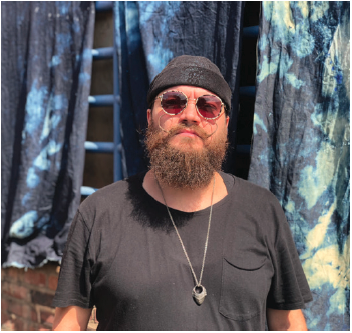 Meet New York-based artist Eren Cannata and learn more about his work featured in Above the Rim presented by PNC. Growing up on tour with his dad, alongside the Beach Boys and Billy Joel, Eren Cannata (b. 1985) has always been surrounded by sound. Now a professional musician, he has gained wide commercial success, winning an Emmy for his work on Frankie Cooks: Season 3 in which he created the opening titles for the show using the sounds generated by found kitchen utensils. Using a similar technique, Cannata has created an immersive installation using the sounds of a basketball game for Above the Rim presented by PNC. Learn more about Eren Cannata's work here. Free admission. RSVP preferred but not required.